I believe all Moms are working moms! Balancing it all can be hectic at times, but having the right systems and routines in place will help with managing your home and your money! Need help? I got you covered. Download my free zero based budget excel workbook + an instructional video. Download my free meal planning spreadsheet to make planning meals easy. Are you ready to be debt free once and for all? 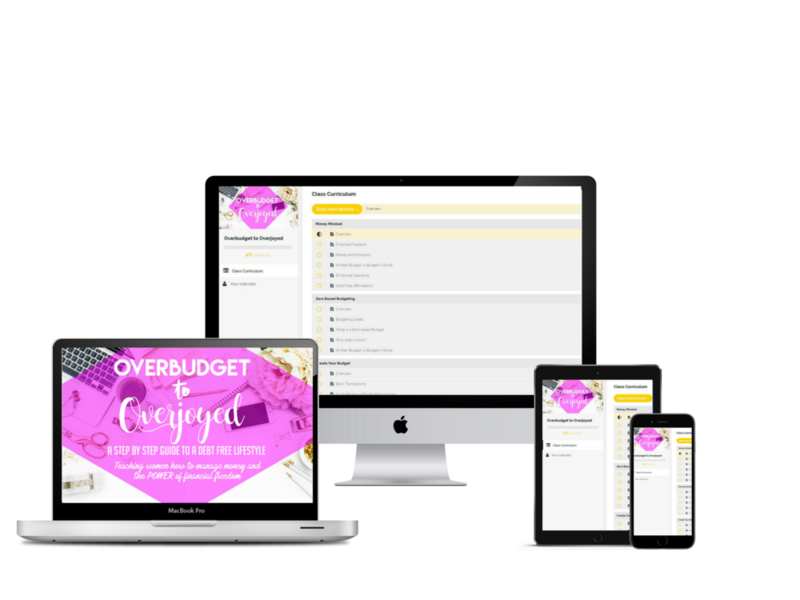 Learn how to have a healthy relationship with money, get out debt and have the right financial systems in place with my course, Overbudget to Overjoyed. Are you part of my Youtube family?! I post several videos throughout the week, where I give my best working mommy and personal finance tips. Check out my channel and subscribe below!